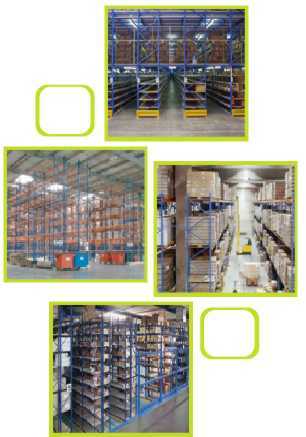 Many large organisations face challenges in storage solutions, such as manufacturers, or distributors. Recently, Easy Rack from Houston in Texas, spoke about materials handling. Recession-proofing your facility requires careful consideration of all time and safety issues pertinent to your process flow. With the correct material handling products, you can ensure that your production is being accomplished with maximum speed and efficiency and minimum risk of injury. Using the right tool also reduces the risk of penalties for non-compliance with safety regulations, and it can even possibly result in lowering general liability insurance rates. All material handling products are designed to either transport materials or store them safely and efficiently. Understanding the benefits of each product category makes procurement simple and cost effective. Self dumping hoppers are large boxes with hinged bases that serve as waste disposal units. They can be picked up by fork trucks and emptied through a convenient self-dumping mechanism that closes once the waste is disposed of. A wide range of hoppers exists that is designed to carry everything from wood and broken down boxes to hazardous materials and liquid waste. Both gantry cranes and jib cranes come in either steel or aluminum builds. Lift master booms are material handling products that can add up to five feet in height to a fork truck. Most material handling vendors carry both telescoping and non-telescoping designs. Short booms specialize in moving equipment through tight spaces and aisles, while larger models can handle up to 4,000 pounds of weight. Hand trucks are some of the most versatile, cost effective, and efficient material handling products available. Specialized models exist for virtually every indoor and outdoor application. Each hand truck, regardless of design, is engineered to provide workers with the maximum amount of control for mobility regardless of weight loads. Most models are made from aluminum, although a fiber hand truck is also available for extra light loads and weight capacities. It is always good to speak with a specialist when ordering material handling products. Not only will advice from an expert help better pinpoint your purchasing, but many material handling products can be obtained in good, used condition. Savings of up to 40% can often be generated on a significant number of purchases.